1999's Running with Scissors is a reminder that late 1990s were a very curious, and a very silly time for pop music, and consequently for Al. Pop music has always been a real of human cartoons and outsized comic book characters. That felt particularly true in those strange days just before the utterly anti-climactic turn of the millennium. Um, excuse me, Willennium. We coped with the possibility of a civilization-ending technological disaster by inexplicably retreating into the cozy nostalgia of our grandparent’s music via the short-lived Swing revival and Ska enjoyed a brief surge in popularity in God’s own United States as party music for drunk white college kids. On “Your Horoscope for Today” Al and his ace collaborators take a trip to the islands. But as with previous genre departures like “Good Enough for Now”, Al's first country song, the superstar parodist and his band aren’t attempting a new style of music, or offering their goofball comedy take on a genre. No, “Your Horoscope for Today” is Ska alright, albeit of the silliest variety. As always, authenticity is of the essence so Al brought in ringers like Dan Regan and Tavis Werts from Reel Big Fish to fill out the sound on trumpet and trombone as well as Lee Thornburg from Tower of Power and Tom Evans. The studio musicians and ska specialists Al recruited give the song the irresistible peppiness and toe-tapping infectiousness. On a sonic level, “Your Horoscope for Today” just plain sounds fun. Al’s mirthful music-makers lay down a peppy musical bed for a breezy comic spin through the Zodiac signs. The horoscope parody is a fascinating little subsection of the comedy world. The Onion, for example, was a master of the form. My former colleague John Krewson, who wrote a lot of the paper’s horoscopes, was a genius at writing funny horoscopes. Al is as well. A lot of the advice Al doles out here applies to everyone. It’s just plain good common sense to take down any naked pictures of Oscar-winning character actor Ernest Borgnine you may have in your home, particularly if you’re entertaining. 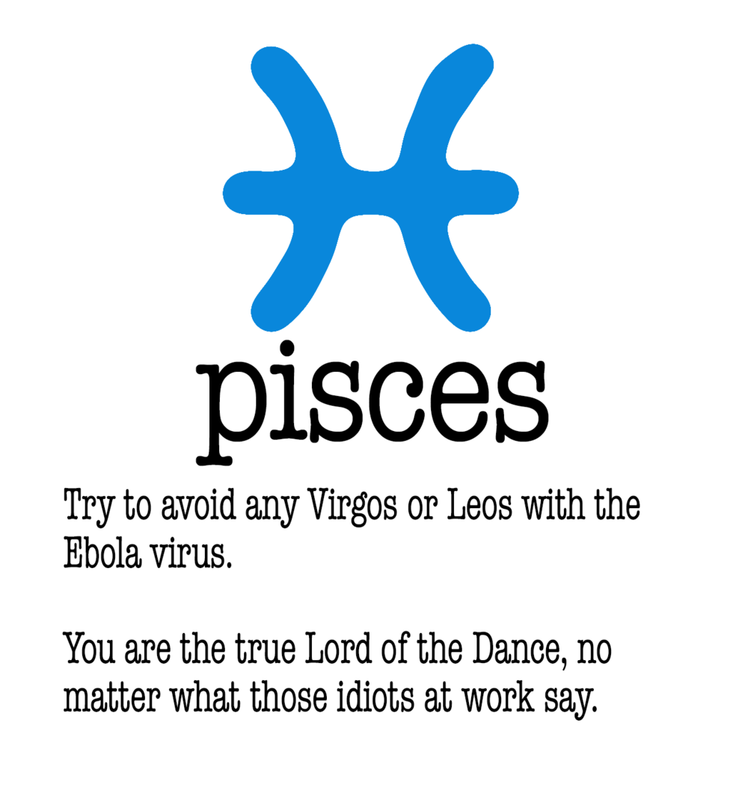 On a similar note, it’s probably best to avoid anyone with the Ebola virus, regardless of their star sign, unless you're in the medical profession. Some of Al’s advice, meanwhile, is so broad that it literally applies to everyone, everyday: "The stars predict tomorrow you'll wake up/Do a bunch of stuff, and then go back to sleep." “Your Horoscope for Today” is a breezy master class in casual comic craftsmanship that augments the bloody, violent surrealism of the mock horoscope with heaping helpings of randomness. Horoscopes may be a big, familiar satirical target but when approached with this level of zippy brio they can still be enormously fun to make fun of, not unlike a 1990s ska revival that, for the most part, resulted in guilty pleasures and terrible, terrible fashion rather than lasting works of art. Why Can't the World be More Like My Dog?